Brighton East Dental Clinic is proud to serve people with the best in oral care and help guide them in attaining peak oral hygiene. To know more information - https://www.bedc.com.au/cosmetic-dentistry/ Office - 677 Hawthorn Road, Brighton East, VIC 3187 E-mail - admin@brightoneastdental.com.au Tel: 03 95788500 Fax: 03 9578 8900 Opening hours: Mon, Tue, Thu 9. Looking for Mechanic in Mill Park? Then Rex's Mobile Mechanical Repairs is the perfect place for you. We are your one-stop-shop for car service & repairs in Mill Park. Our mechanical services include brake repairs, log book service and car repairs. We also serve in Epping, South Morang, Greensborough, Bundoora, Reservoir, Thomastown, Heidelberg, Ivanhoe and Doreen. Are you looking for reliable and trustworthy panel beaters in Kilsyth? Then Swaggy's Panel Shop is the best place for you. We know how to get you back on the road in minimum time with the best repair service. We are providing quality panel beaters and smash repairs in Bayswater, Lilydale, Ringwood, Croydon, Ferntree Gully, Wantirna. I am an experienced forensic psychiatrist, available for the provision of assessments and reports in civil and criminal matters. My reports are rigorous, well-reasoned and objective. I can see clients in my rooms in the CBD, visit clients in custody or carry out assessments via videolink. 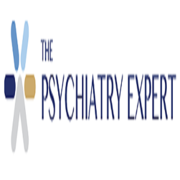 Website: https://thepsychiatryexpert. Is it time to Change Strata Management? The main role of strata manager is to relieve the load of managing your strata scheme. Our trained strata consultants will make this process smooth and help you to change strata management companies in Melbourne.We read management agreement papers carefully before you go signing. Reducing the risk of oral diseases s an easy affair and to achieve a delightful bright smile, it is best advised to visit the best dentist Caulfield at Brighton East Dental Clinic at least twice a year and prevent any future troubles. To know more information - https://www.bedc.com.au/services/ Office - 677 Hawthorn Road, Brighton East, VIC 3187 E-mail - admin@brightoneastdental. With over 70 years of experience Associated Metalworks is leading manufacturer and supplier of garden screen and Metal Wall Art in Melbourne. Our metal wall art design and manufacture with accurate and laser cutting process. To know more about decorative metal wall art visit our website or call us on 03 9797 3000. 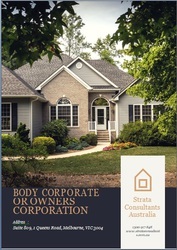 Strata Consultants is providing professional owners corporation and company management services in Melbourne, which makes body corporate and strata management easy for you and achieve results. 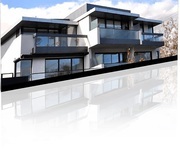 We know the strata industry and work closely with Owners Corporations in Victoria. 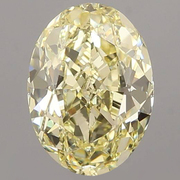 We have the best way to provide you with top quality body corporate services. Looking to buy beautiful cocktail dresses in Melbourne for your event, then browse through the website or store of Nicolangela and get an amazing cocktail dress all within your price range. Nicolangela is the best place to buy cocktail dresses online available in various patterns and colors, suiting, and accentuating your body. Baby Activity Toys Available at Little Smiles! 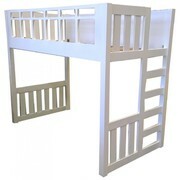 Baby activity toys provide fun and entertainment to your little ones. 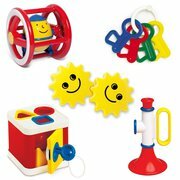 Little Smiles has a wide selection of activity toys, which are available in bright colors and various textures. These activity toys at Little Smiles will definitely spark your baby’s curiosity and keep him/her busy. With baby activity toys, your baby’s problem solving skills can greatly improve. Are you in search of Procedure Lights? H.E. Technical Services offer you quality medical lighting to minimize your energy consumption while increasing your service life up to 50, 000 hours. Today, many hospitals are opting to install these Procedure Lights in their operation theatres, pre-op, emergency, anaesthetic and resuscitation rooms due to many benefits. Indian weddings are all about fun and frolic with a lot of music and dancing. Our passionate and skilled team of dancers will create wonderful wedding memories that will last forever. Ignite Bollywood will add the wow factor to your wedding events by creating a colourful and magical experience for your guests. If you are looking for a car service in Point Cook than Cassar Automotive & Tyres are the perfect choice for you. We are a family owned and operated company providing professional, honest and friendly car service. We offer you a complete range of motor mechanic and car service at affordable rates. We are equipped and trained with all the latest technology so your vehicle will get the best service every time. Are you looking for the home central vacuum system in Melbourne? Then Electron Vacuum Systems is the best destination for you. 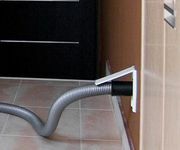 Home central vacuum system is solving the problem of carrying and storing a ducted vacuum hose. It is cleaning your home very easier and quicker. To know more about our services, contact us on 03 9764 8633. If you are looking for the Best Quality Tape Hair Extensions in Melbourne then Blakk is the ultimate choice for you. 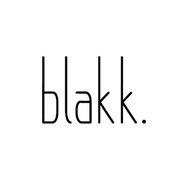 Blakk is famous for its wide range of Hair Extensions in Sydney, Brisbane, Adelaide and whole Australia. Using quality grade Brazilian Remy hair, all Blakk Tape Extensions are double drawn creating thickness from root to mid-lengths all the way to the baseline ensuring you avoid those wispy ends that require inches to be removed. Searching for Traffic Controllers in Melbourne. First Traffic Management is best Traffic controllers & Traffic Planning service provider in melbourne. They're professionals which have an important role in our society for traffic management. It is the job of a traffic controller to take care of the safety of motorists and other road users. From small work to large work, we human’s depends on machines. Our advanced fleet operates globally and includes the largest harsh environment drilling rigs in the world, as well as advanced land drill rigs. http://www.kgrrigs.com/drilling-rigs.html. BEDC gives the best dental care which is one of the most significant of all medical treatments and as oral health matters a lot; it becomes imperative that a person avail the best services of a general dentist. To know more information- https://www.bedc.com.au/online-appointment/ Office - 677 Hawthorn Road, Brighton East, VIC 3187 E-mail - admin@brightoneastdental. 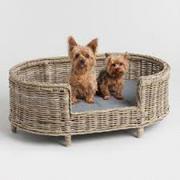 Shop a great quality of pet products online at Pets Forever, your one stop pet store in Australia. Find pet accessories, pet supplies, cat, dog food & much more. Visit our website today to grab the best offers..
Melbourne ads Melbourne, All categories classifieds Melbourne, All categories free ads Melbourne, ads for sale Melbourne, ads to buy Melbourne, FREEADSAustralia Melbourne Page number 15-2. Find here ads for sale, to buy and rent in Melbourne. Goods for sale in Melbourne, vehicles for sale in Melbourne, Melbourne real estate for sale, Melbourne property for sale, property for rent in Melbourne, business ads in Melbourne, Melbourne business classifieds, services in Melbourne, Melbourne services ads, jobs in Melbourne, pets for sale in Melbourne, Melbourne dating, Melbourne cars for sale.